Ever been confused by whether to form an LLC or incorporate yourself? Is it really necessary for tax or liability purposes? This course breaks down entity type basics for creative individuals, exploring the pros and cons of each. Whether you are starting your creative business for the first time or restarting some healthy habits, STARTING SMART, the online business learning series for creative entrepreneurs, can help you along the way. Elaine brings her financial, tax, and educational experience and expertise to the artistic sector by providing a variety of online resources to artists and arts organizations interested in building financial literacy. At Minerva Financial Arts, we care about artists… A lot. Our courses are distinguished from others by Elaine’s hands-on, supportive approach to coaching students through the material. The courses are hosted through Pathwright, a small company in South Carolina that hosts learning paths for all types of skill builders. Elaine teaches each course, with moderation support from her team. We were skeptical too. But Elaine has built these courses to be more like one-on-one coaching sessions… With some online learning built in. That’s why at the end of each course, Elaine and her team will share personalized, one-on-one feedback about what you have created, whether it is an expense-tracking system in Excel, a budget for a project, or a strategic plan. Read Online? Really? to learn more about how we combat the challenges of the online learning environment. What if budgeting weren’t a mindless, arduous task that kept you from your art, but rather something relevant that actually helped you make more art? In this course, you’ll learn why “budgeting” in the traditional sense is completely wrong. More importantly, you’ll learn tools for making your budget work for you (and your creativity). As artists and designers become more entrepreneurial, discussions about pricing art and time have become more common. Four factors—cost, competition, customers, and competencies—affect the price for a creative entrepreneur’s work or time, and we’ll explore the science (and the art) behind each one in this course. You probably have a goal: To keep doing exactly what you want to be doing without going broke. But what if you could do more? In this course, you’ll learn why the traits that enhance your creativity are also fantastic for building tools to make your creative career work for you. Creative entrepreneurs with multiple revenue streams will benefit from this course. They’ll complete the course with a solid understanding of the philosophical differences between employees and contractors, and their own specific obligations. “I can see no reason to be bound by time,” Jeanette Winterson wrote. “As far as we know, the universe is not bound by it.” Fueled by frustration on the existing research and strategies for time management (Example: “Just get up earlier!”), this session explores the shortcomings in time management tips and tricks. Your computer probably already contains one of the most powerful tools for managing a creative career, but unless you graduated from business school, you may not know how to use it. XLS Basics can help you get started. Struggling with self-employment taxes and deductible expenses? 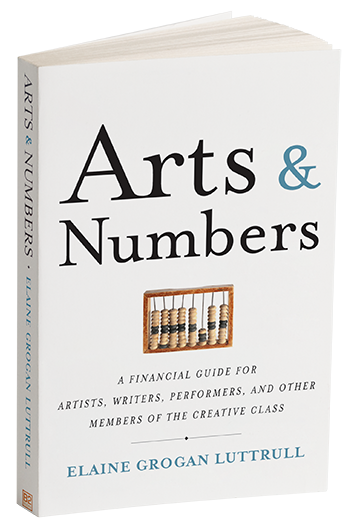 Join this online course for hands-on practice in navigating tax subtleties for artists. Can I deduct my performance clothing? Can I deduct a lunch with a potential collaborator? What records do I need to keep? We’ll tackle all these questions and more. What policies should I have in place? Why do we divide expenses by functions? And what in the world am I supposed to be doing on this board? This course, geared toward board members of arts organizations and the Executive Directors that serve them, answers all those questions and more and includes a schedule for tasks to tackle throughout the organization’s year. You’ve mastered basic XLS skills. You know all about SUMIF and sorting, building charts and graphs, and color-coding your reports. This course is for creative entrepreneurs who are comfortable with XLS… And ready to master the next level of functionality (to really impress others at parties). This course covers filters, validation, and conditional formatting, with a bit of additional IF functions thrown in for good measure. Grab your collaborators and take this course together. It is built around Elaine’s “Arts Model Canvas,” and it is perfect for senior leaders of organizations to use to guide collaborative conversations about the direction of an arts organization. With guided questions and activities, you’ll have the foundation for a strategic plan in no time. Still don’t see what you’re looking for? Set up an hour to spend with Elaine covering the specific questions most relevant to you and your creativity. Sessions start at $110.